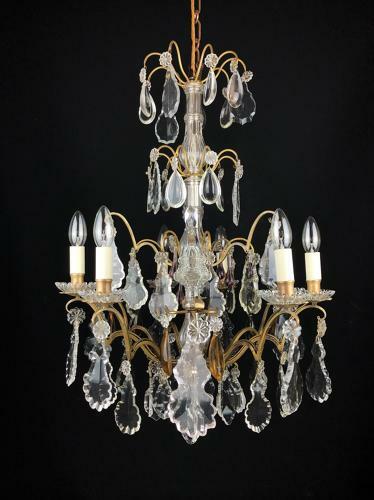 A small and well proportioned six arm gilt brass and cut glass chandelier. Splays of crystals suspend from the cut glass encased stem, with the six arms of light interspersed with cut glass obelisks. Hung with clear, smoked and amethyst drops. French, late 19th century.